Aikido Bandung Dojo has been a part of the Bandung martial arts scene nearly 15 years and founded by Dr. RHA Sumantri and Ir. Rahmat Prawirasasra. 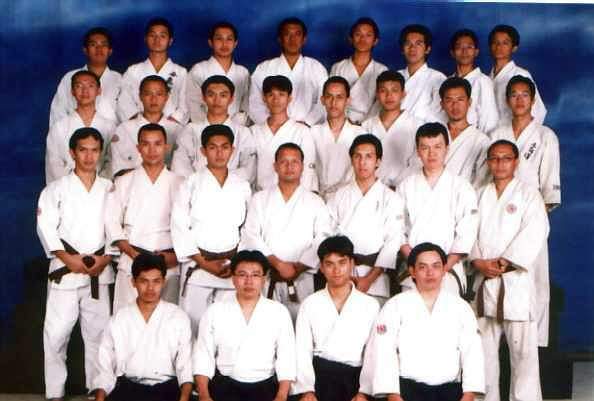 From 1987 the aikido practice took place at Bandung Judo Institute Building on Jl. Emong 19. And in 1995 we move to Tri Lomba Juang Building, GOR Padjadjaran Bandung. But in the end of February 2002 we finally took place at Bengkel Daerah Paldam Jl. Gudang Utara No 27, Bandung. We are a non-profit school run cooperatively by the instructors. We are a member school of Yayasan Aikikai Indonesia (Aikikai Indonesia Foundation). Yayasan Aikikai Indonesia is affiliated with Aikikai Foundation Hombu Dojo, the World Headquarters of Aikido in Tokyo, Japan. The atmosphere of the dojo is laid back and easy going. While we observe the traditions and rituals of Aikido, this atmosphere provides a rich environment conducive to learning. Our style emphasizes basic techniques and is suitable for men, women and children of all ages. Classes are small enough that each student gets individual attention from the instructor.